It was 20 years ago that Roger McGuinn — whose musical credentials include playing with the Limelighters, the Chad Mitchell Trio, Bobby Darin, founding the Byrds and with them inventing folk rock, touring with Bob Dylan’s Rolling Thunder Review, being inducted into the Rock and Roll Hall of Fame — decided that on the first day of each month he would upload a recording of a folk song, create a page with lyrics, tablature, and a brief bit about each song and share it all for free with everyone. That first song was one had first I heard my father sing, based on I think the same version sung by Woody Guthrie and the Almanac Singers, “I Ride an Old Paint.” That song was also sampled as part of Aaron Copland’s Rodeo and in Virgil Thomson’s film score for The Plow that Broke the Plains.” I still don’t know what a hoolian or houlihan might be or why one would throw it, but I love the simple tune and the way Roger’s Martin D-12-45 is played on this first Folk Den song. Kenton Adler at the University of Arkansas, who was later to appear in the liner notes to the CD collection Treasures from the Folk Den, hosted the first Folk Den site. It wasn’t long though before Kenton started running out of room and out of bandwidth. We had just been given one of the first Real Audio servers at what is now ibiblio.org. We offered Kenton some relief and Roger a new home for the Folk Den which while only a few months old was obviously a treasure trove in the offing and in the offering of free for all to hear music. We later helped Roger move the Folk Den to the higher quality MP3 format — and all along he never missed a month. It’s been an honor and a privilege to work with Roger on the Folk Den. In 1960 The Limeliters hired me as an accompanist on banjo and guitar. One of the songs in their setlist was “There’s A Meetin’ Here Tonight.” Bob Gibson had rearranged and sanitized an old Methodist camp meeting song by taking the words “sinner” and “Satan” out. This is the original version as would have been sung in the nineteenth century in rural North America. I thought this would be an appropriate way to celebrate the 20th anniversary of the Folk Den with one of the first songs I played professionally over 55 years ago. Adrienne LaFrance writes in the Atlantic in an article called “Raiders of the Lost Web” about vanishing websites and the recovery of one particularly important investigative reporting piece, “The Crossing.” Along the way, LaFrance discusses the state of web archiving through brief interviews with Jason Scott and Brewster Kahle of Internet Archive as well as Alexander Rose of the Long Now Foundation. The problems of preserving everything are still insurmountable. The problems of just preserving and serving valuable websites, those curated say or deemed to be of ongoing importance, is possible but not yet done well. I’m glad to see the continued attention to this problem. 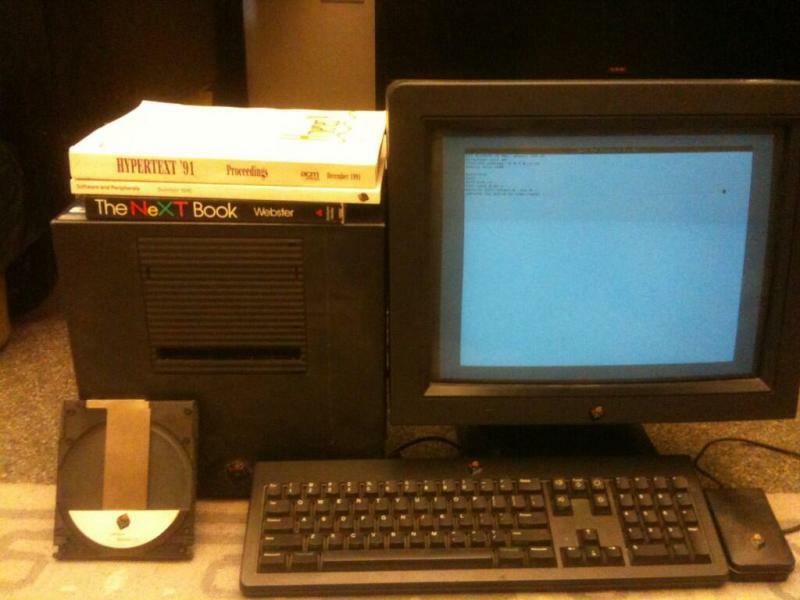 With the help of support from IBM research grant entitled “Keeping the Historic Web Alive and Accessible: preserving and serving,” ibiblio is involved in using virtualization to keep older versions of older software open and accessible. In fact, I’ve kept open and accessible a version of Tim Berners-Lee’s earliest public webpage from 1991. You can read about the context of the page in an Atlantic article from 2013. Despite the great efforts of Internet Archive and others, archivists attempts at preserving websites have largely been a collection of web page collected periodically by such successful software as Archive.org’s Heritrix. While page collectors provide a good service especially for sites that do not allow access to the database that drive them, they fail on several fronts. First, a complex site can never be completely captured by a screen capture program or even a video. The number of potential pages and interactions cannot be duplicated in such a manner. Second, user interactions with a complex site cannot be duplicated by a captured set of static pages. Understanding interactions is important to the use of archival material. Third, the context of use and interactions is lost when the user experience is changed from one of interactivity and customization to one of simply retrieving selected static pages. Even worse are archival activities that attempt to preserve by atomizing the objects from the pages removing images, audio, texts, etc and placing them in new decontextualized object databases completely unrelated to their original context. We propose, using ibiblio as an example, to attack this preservation problem by using machine virtualization and virtual machine management tools. One suite of tools that particularly interest us are NCSU’s Virtual Computing Lab known as VCL. VCL is in use at over 200 institutions and has a strong support structure. Open source and licensed under the Apache project licenses, VCL is mostly used to provide temporary virtual machine for training computer scientists. We and our partners at NC State see a new use for VCL as a way to manage and present older servers Running older software in a secure yet living and interactive way. I hope that we and those others of us working on digital preservation and in virtualization can provide a framework that benefits the creators, the archivist, and publics present and future. Look for some initial results to be posted here soon.